Home / Adviart Blog / Be true to yourself. Be true to yourself. 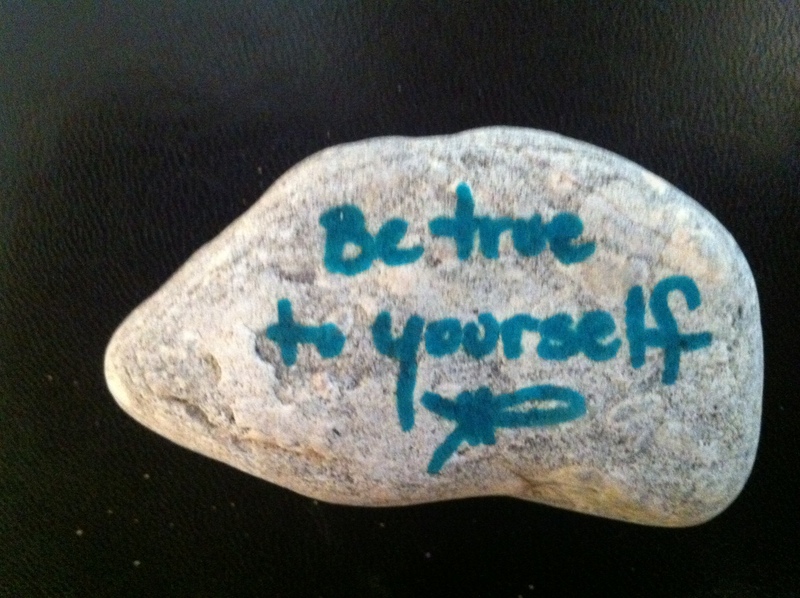 This adviarter took a rock due to its smooth, open surface and a teal market to write the advice “be true to yourself.” Note that there is a fish on the bottom centered in the middle of the text. The one full-side of the top of the rock is used–no areas of the rock are decorated. This advice coming from the adviarter’s experience in moving through life. Being true to yourself seems easier said than done sometimes. I think this is because truth is in the eye of the beholder. If you can define how you know truth or how you come to an understanding of truth, it is feasible to know how to be true to yourself. How important is being true to yourself each day? What are the ramifications if we don’t stay true to ourselves?